Sure, having a link profile with hundreds linking root domains might look good, but it’s not all that effective if the hundreds of domains that are on there are low quality sites with little relevance to your own. I’ve often said this and will continue to say it, relevance is key! I would take one relevant, good quality website than one hundred links from irrelevant, poor quality websites. A whole afternoon’s work can be classified as a success even if you get 1 good link. If your boss get’s on your case for so few links, educate them. People get hung up on guest posting and will reserve the best content to give to other blogs as this increases the likelihood of the other blog accepting and publishing your content, providing you with a link from a relevant blog. But why? 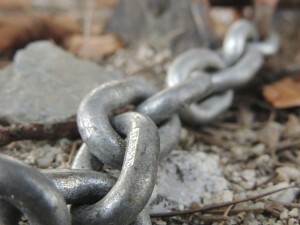 I know you get a great link from it, but what about the links the content attracts for the blog where it’s published. If the content is that good, it’ll be worth linking to and will benefit that blog. You’ll get some secondary link juice from this, but not a lot. So why not publish that content on your own site, and receive all the organic links to it yourself? OCATD. Obsessive Compulsive Anchor Text Disorder. People would spend so much time searching for that one link they could get where they could insert their own anchor text and manipulate this to boost rankings. With the advent of Panda, this is no longer going to work. It’s going to work against you in some cases, especially if your Link Profile is skewed so much that it has over 50% keyword anchor text. Think about it, if people were organically linking to your site would they choose to link to you with a keyword? And if so, what are the chances that you have a whole bunch of people all miraculously choosing the same phrase. Strikes me, and now Google thanks to Penguin, as a little odd. People publishing monthly/bimonthly press releases are either gifted with an incredibly high amount of foresight, or they’re actually fabricating “News” to release. The bottom line with this one is, if you have no news to report, you have nothing to report. You shouldn’t seek out the tiniest little thing and publish a press release, Google will get wise to this as press releases are usually reserved for Product launches, Re-branding and other such large projects. Not the fact that you’ve added a new page to your website. There are so many other habits that people are finding hard to kick but as it stands these top the pile on my most seen poor link building practice podium so far.